Finding it hard to burn as much body fat as you would like? Looking for a product that contains clinically proven ingredients that helps burns fat, assists body tone as well as keep you fuller for longer? define for women gives you a delicious, low carb, low fat and gluten free protein powder that will help keep your metabolism firing all day long and getting you noticeable results fast! Combines premium protein with proven thermogenic agents to burn unwanted fat and build tone. Protein plays a key role in weight management by controlling appetite, providing a longer sense of fullness and lifting metabolism. This delicious high protein, ultra-low carb, ultra-low fat, ultra-low sugar and gluten free formula will help keep you fuller for longer and help boost your energy throughout the day. Packed with essential vitamins and minerals uniquely blended to support the lifestyle and nutritional needs for women. If you are serious about your body transformation then you need to ensure a regular intake of high quality protein. A smooth, delicious, milkshake like taste that mixes easily into milk and water and is 100% guaranteed to satisfy. 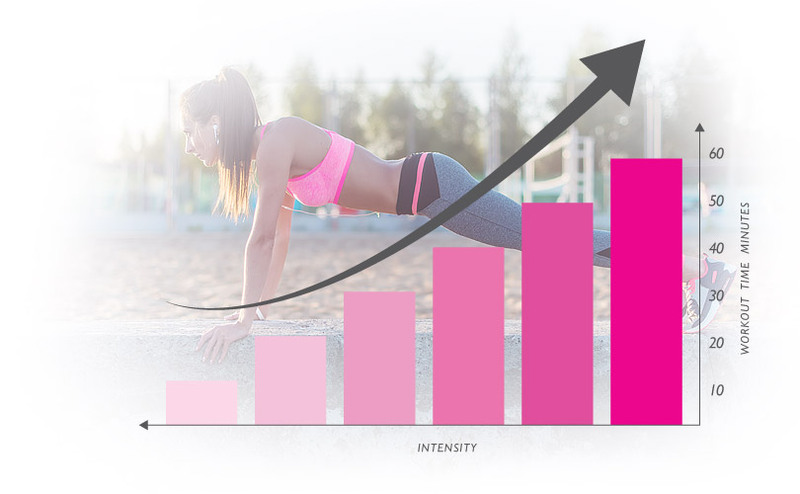 With clinically proven fat burning ingredients the define High Protein Powder will ignite your stunning transformation this summer. High quality protein from whey and soy helps to build and repair lean muscle for a trimmer, more tone physique. Combines quality protein with proven thermogenic agents. Contains L-Carnitine, L-Methionine, Choline & Chromium Picolinate. Contains 21 vitamins and minerals to provide support for unique liefestyle and nutritional needs of women. 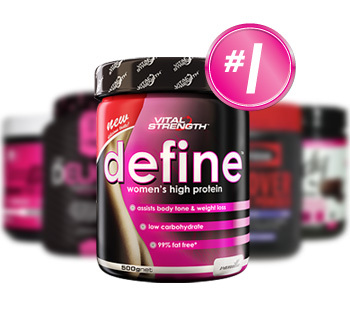 Designed to support a busy lifestyle providing a convenient and satisfying way to help women achieve their goals. Simply mix or blend 250-300mL of water or skim milk and consume 30 min before exercise and/or immediately after. 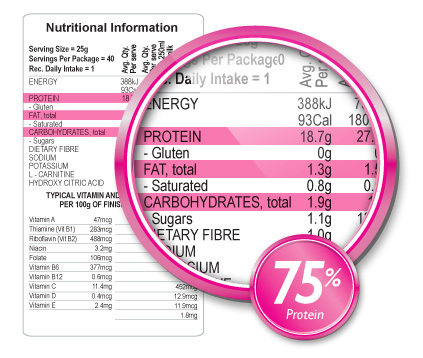 The low carb and low fat characteristics also makes it suitable for quick & easy breakfast or light meal replacement. As a bit of a gym freak I love trying new proteins and workout supplements to see how they help me, this is my first time trying define, supposed to cater certain proteins for women only... and finally. One that works. Most people have a sweet tooth.. I was gifted with a biscuit tooth.. this protein is so well flavoured that when I need something sweet I can pop it on some cereal or in a smoothie and it satisfies me completely.. others haven’t quite got the flavours right. This has helped me tone up a little more as I’m not eating biscuits and intrigued to see the longer lasting effects. 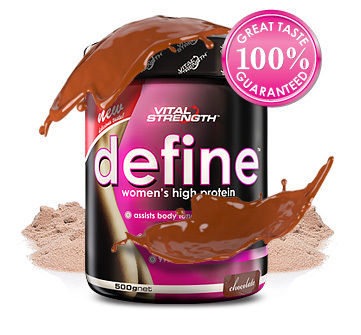 I bought Define chocolate because of the reviews as I was very confused with the amount of protein powders on offer. Taste was ok, so I was having my smoothie with oats. Egg and berries , 2 mornings a week. Didn't take any notice until I was asked if I had lost weight? My stomach had flattened out! Then I realized I wasn't as tired as I use to be after a 10 hour shift and also on my days off I was working on my property and seemed more energetic. I ran out and started to feel lethargic and bloated. Will try Vanilla this time. So many protein powders are so full of fillers. They not only impede the quality, they also do disastrous things to the taste. My fav is banana so when its on stock up. Never felt better than after my daily shake. I bought this two weeks ago in an attempt to step up my diet as I sat on a steady weight for over a week. Since then, I've lost 3.5 kgs! My tummy is leaner and I no longer get crazy sugar cravings if I have this for breakfast after my workout. Very smooth, non powdery drink. This is the best I've tried so far! Love this product have tried others but they were either way to sweet or too strong in a soy taste which made them not enjoyable to take. As I exercise six days a week I need a protein powder that is subtle and enjoyable to drink this product is that for me. Really does work when you commit! I started off with 1, 250ml organic milk vanilla shake everyday for three weeks, I felt my energy creep up after the first 12-14 days. I upped my shake intake to twice daily ( mainly as a snack replacement not meal replacement, not pre work out etc ) of 150ml organic milk & 100ml water. It has been 7 weeks now I have been drinking define, I have used the powder in many different smoothies, added spirulina to my daily shakes and have also tried the banana flavour. 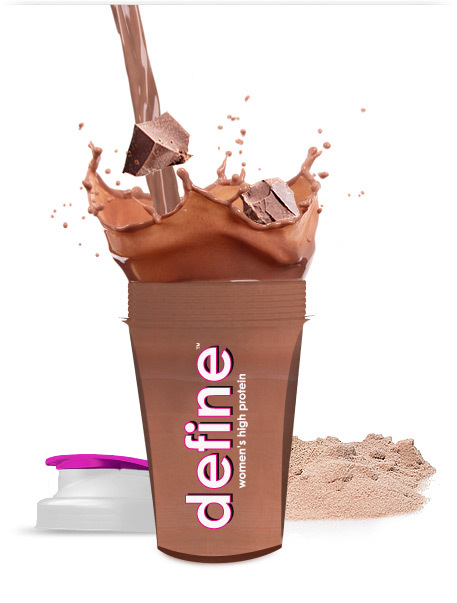 Define works well blended and adding other powders to it..No clumps, just protein. I am a female tradie by day and the shakes have really picked me up when the energy drops, combined with a healthy lifestyle my energy is through the roof and my abs are coming through quicker than I expected! All in all, I love the stuff...it was definitely not a turn off having the banana flavour but I am a vanilla girl all the way. Got my mum onto it now too......Define works. Mix 25g (approx 1 scoop) with 250ml of skim milk, soy milk, rice milk or water. Best taken within 30 minutes of training and/or between meals. Serving size and frequency may be increased for athletes after consultation with a fitness or health care professional. Whey Protein Concentrate, Soy Protein Isolate, Whey Protein Isolate, Dietary Fibre (Inulin), Nature Identical Flavouring, Guar Gum, Xanthan Gum, L-Carnitine, L-Methionine, Anticaking Agent (551), Vitamins & Minerals (Calcium Carbonate, Magnesium Oxide, Ascorbic Acid (Vit C), Iron, Zinc Lactate, Vitamin E, Molybdenum, Nicotinamide (Vit B3), Chromium Chloride, Potassium Iodine, Selenium, Manganese Sulfate, Folic Acid (Vit B9), Vitamin B12, Calcium, Pantothenate (Vit B5), Riboflavin (Vit B2), Vitamin A, Pyridoxine HCL (Vit B6), Biotin, Thiamine (Vit B1), Vitamin D3), Sweetener (Sucralose), Choline, Chromium Picolinate, [Cocoa in chocolate flavour only, Colour (124) in strawberry flavour only]. Contains milk and soy products. Soy lecithin is used to instantise whey proteins and is less than 1% of the whey product. Gluten free ingredients. Made in Australia from local and imported ingredients. Replace lid immediately after use and store below 30ºC in a cool, dry place. See base of container for best before date. This product is sold by weight - contents may settle.